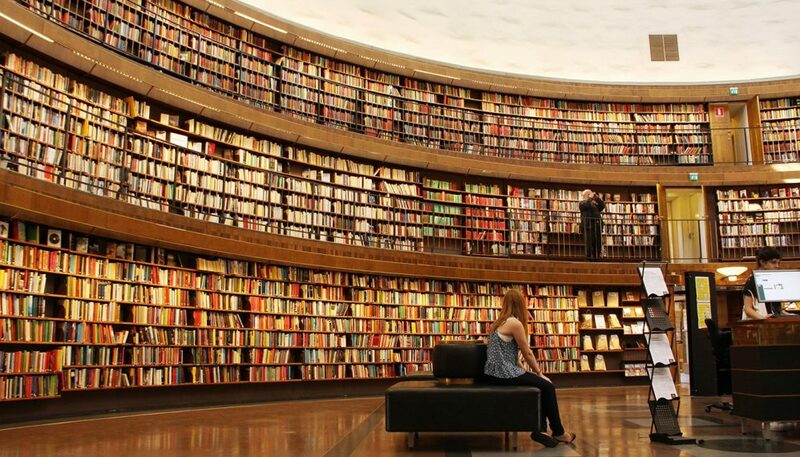 It is said that 95% of all people never read another book after graduating from school. I have no idea, but I hope not! YOUR education should never end. 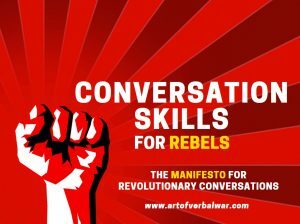 Everybody knows how to speak, talk, and listen, but very few people know how to do these things at a level where they can consistently persuade, influence, captivate, and charm others. A lot of my readers or subscribers have had great book recommendations for me over the past year, so I want to share some of those recommendations with you along with some recommendations of mine as well. So without further ado, here are some defining works which have helped me on my way towards excelling in verbal skills and which I know will also help you in your own continuing self-education. And, if you haven’t picked up a book since college or high school, try one of these amazing books! These books are tiny investments that can pay massive dividends. 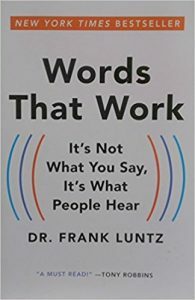 Many people consider this the “bible” of persuasion techniques. I think it is at least a very solid starting point. 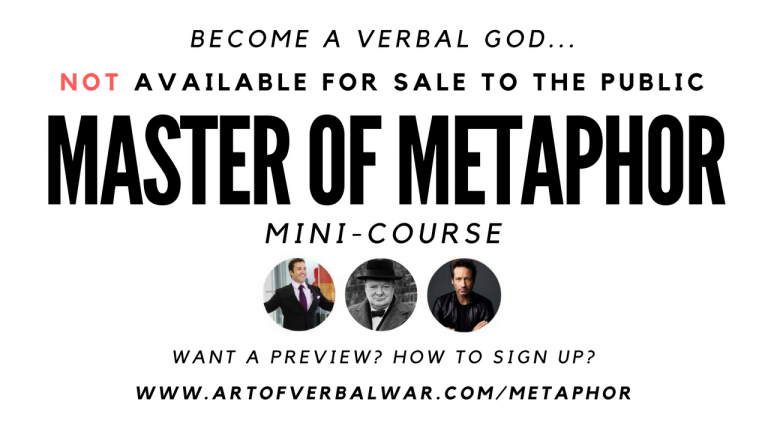 In it, you will learn the six very famous, must-know persuasion “triggers”. 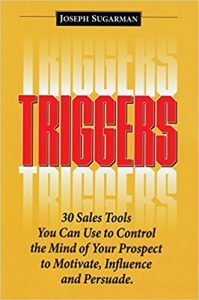 They’re so famous, you can easily find out what those six triggers are, but you won’t truly understand them (and how to use them) unless you read the book. These “six persuasion triggers” are so important and influential, I am sure many hundreds of millions of dollars (or even billions) have been made using these tools. 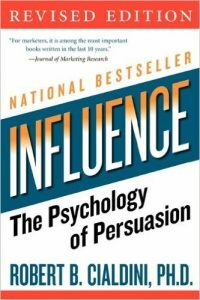 This book is the sequel to “Influence” and while I personally don’t think its quite as groundbreaking as “Influence” was when it was released, it is still a must-read in the field of persuasion and influence since it contains essential information that “Influence” does not cover. 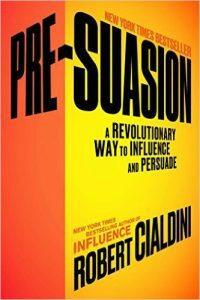 Get both books if you want to learn pretty much everything you will ever need to know about persuasion. 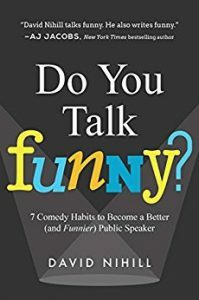 This book teaches you some essential basic stand-up comedy skills which will help you become a better public speaker, or just better in verbal skills generally. 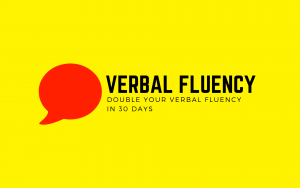 Wit and humor are essential to becoming better at verbal skills in general, so this is a fantastic, easy place to start. 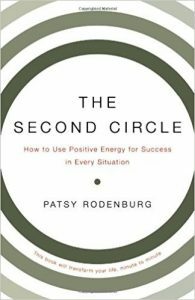 This book is by world-leading voice coach, Patsy Rodenburg. 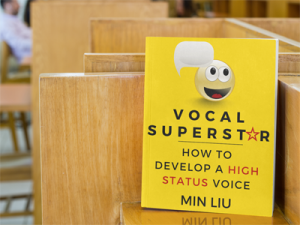 As you may know, I talk a lot about the importance of vocal tonality in having a captivating, authoritative, and high status voice in my book “Vocal Superstar: How To Develop a High Status Voice“. This book will help you develop more “presence” and how to develop your voice into a true asset. This book was recommended to me by a subscriber on my e-mail list. It is actually out of print I believe, so all you can buy is a used copy. The copy I bought is old, dusty, and a bit musty, but this book is fantastic once you stop coughing. 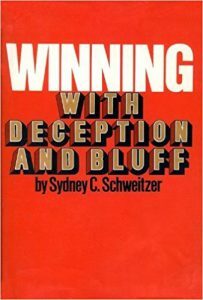 This book, written by trial attorney, Sydney Schweitzer, will help you learn the deceptions and tricks other people use in human interactions so while you may never want to use these tricks, you will never get fooled by them. 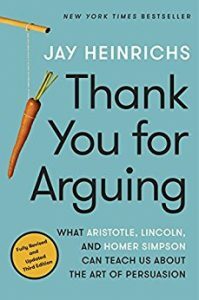 In the same vein as “Influence” (which reveals the six famous persuasion triggers), this book will teach you thirty (!) other persuasion, influence, and motivation “triggers” which are less well known than the ones in “Influence”, but just as effective, especially in the field of marketing and sales. Great stories, useful tools. Again, these are “million dollar techniques“. This book is a masterclass in the art of persuasion. Truly everything you need to know about how to argue issues and debate others. I would pretty much call it a textbook of persuasion, except unlike most textbooks I remember, this one is much more entertaining and interesting. The book is very deep, so you will want to refer to it and read it a few times to really absorb its lessons. Time well spent! Believe it or not, your brain needs to be healthy and optimally functioning if you want to excel in verbal skills. 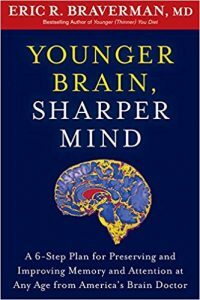 This book by renowned neurologist, Dr. Eric Braverman, will help optimize your brain, so that you can ensure that all of your brain’s horsepower is available to the verbal challenges you face in life. Don’t let the title of this book turn you off. As soon as I saw this title, I wanted to read it. 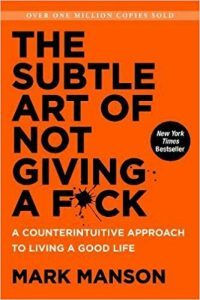 Not “giving a f*ck” is key to developing exceptional verbal skills. Being carefree and free-flowing is in life is like trying to catch an greased eel with your barehands. 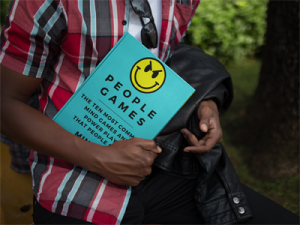 This book gets your closer to achieving that ever-elusive goal. I’ve read it a few times by now and plan to revisit it from time to time in order to continue cultivating my own “carefreeness muscle”. 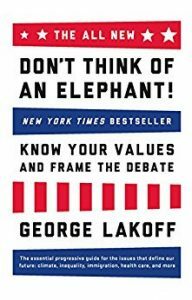 This book is about the very important concept of “frame control”, which is essential to persuasion, debate, verbal self-defense, and verbal combat generally. I talk about it all the time. Everyone talks about “framing”, but there are few resources to learn about “framing” and “frame control” and how to do it. This is THAT resource. Similar to “Don’t Think of an Elephant!”, this is yet another great resource on framing and frame control. In this book, you’ll learn “The Ten Rules of Successful Communication”, which I feel always serves as a very useful reminder to myself whenever I lose my way in terms of my communication and verbal skills. I picked this book up on a whim, not knowing who Andrian was. But, it turned out to be a fruitful impulse buy on Amazon (unlike many that haven’t worked out quite as well). 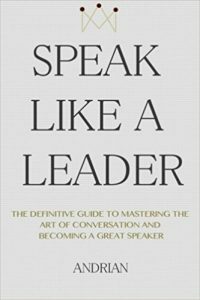 Speak Like A Leader is a great primer for everything verbal skills related, kind of like a basic course on verbal and communication skills related. Andrian, who seems to me like an extremely deep thinking, also has a great blog that also has a lot of interesting articles and reads at http://www.quintessentialman.com. 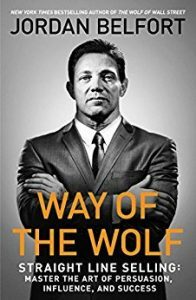 Okay, this one is not out yet (September 2017 release date), but I have heard “Way of the Wolf” reveals the secrets of Jordan Belfort’s “Straight Line Persuasion System” (a $1,997 course). If so, this is gonna be badass and well worth reading (at a price you can’t beat). Love him or hate him, Jordan Belfort knows how to sell and persuade. I’m extremely curious and already have this book on pre-order. I will add more books here from time to time as I discover them, so check back soon. And, please leave your recommendations below in the comments for our community! Happy reading! !